In a dream world, ‘sun-kissed hair’ would work exactly as the phrase implies. The sun would lighten your strands, and your locks would be resplendent in shimmering golden tones. 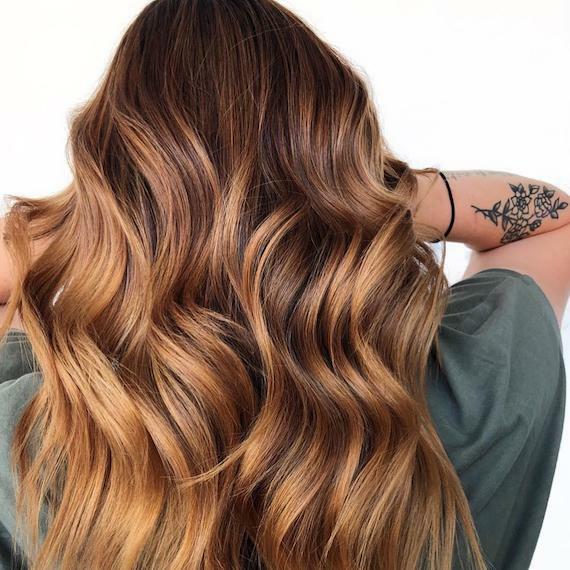 But flawless beach hair rarely comes as easily as that, as you’ll know from the inevitable influx of balayage appointments that come your way every. single. summer. The Color: Blondor Lightening Powder for noticeable lift that’s lighter than your client’s natural level. The Look: A brighter version of babylights, strandlights relies on the same micro-fine application, but with a little extra lift for a sun-bleached effect. Focus the majority of color around the hair line to make your client’s complexion glow, and try applying with the parting in a zig zag shape to reach the lower layers of hair. The Color: Illumina Color 8/13 for a warm toffee or 8/69 for a soft caramel or perhaps 6/16 for adeeper chocolate tone. Combine with 9%/30vol Welloxon Perfect for two levels of lift. The Look: This super-soft take on balayage will be your go-to come September. It gives dark-haired clients the end-of-summer, sun-kissed feel they crave without undergoing a dramatic transformation. To get the look, delicately weave toffee tones through light brown locks, caramel hues through medium brown hair and chocolate-y accents through darker brown lengths for a subtle lift that shimmers under the light. The Color: Blondor Vol. 20 to pre-lighten + a Color Fresh CREATE blend that’s 1 part Hyper Coral 30 parts Tomorrow Clear + Nudist Pink Pure. 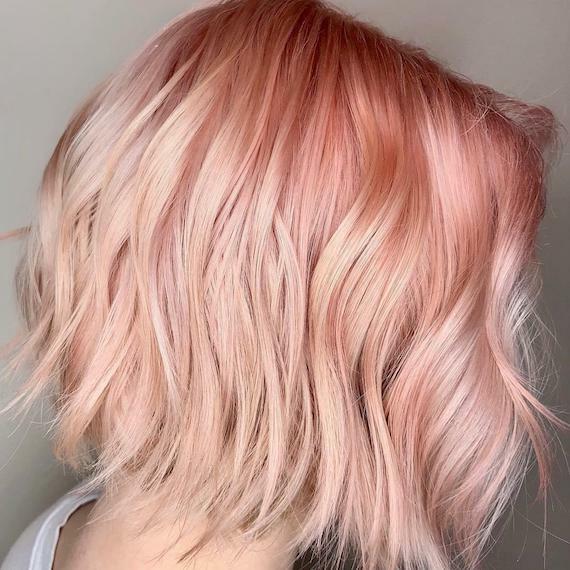 The Look: This is what happens when beach hair meets peach hair: a sun-kissed version of the pastel trend that features ribbons of Color Fresh CREATE in coral, pink and peachy tones. On a pale blonde base, focus the peach color through the roots so it melts into lighter ends. Including extra bands around the hairline will add extra dimension to your clients’ hair. 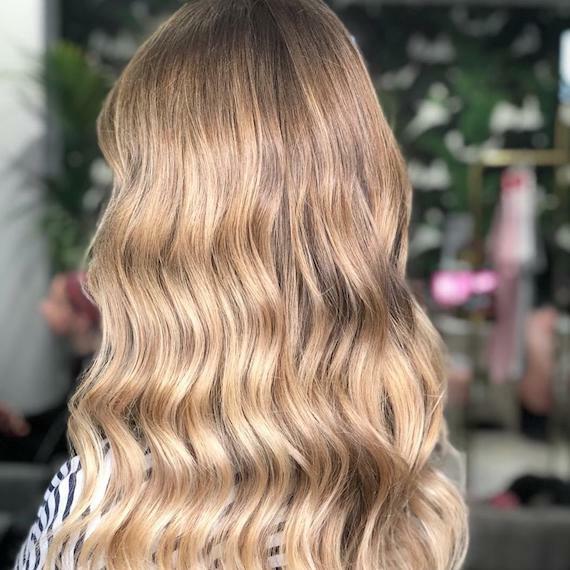 Enhance your client’s beachy look with tousled waves. First, rinse the color using INVIGO Volume Boost Bodifying Shampoo, then smother mid-lengths in INVIGO Volume Boost Crystal Mask for light-as-air hydration. Blot wet hair with a towel, then mist EIMI Sugar Lift or EIMI Ocean Spritz from root to tip and lightly blowdry using a diffuser, while twisting sections around fingers to encourage movement. For a stronger wave, wrap random sections around a curling iron and set with EIMI Mistify Me Light.